Please join us for a private preview tour of the upcoming Palladian Design: The Good, the Bad and the Unexpected exhibition at RIBA’s HQ in 66 Portland Place, London. Focusing on contemporary architecture, this exhibition explores how the design principles of Andrea Palladio have been interpreted, copied, and reimagined across time and space. It includes previously unexplored works that bring out unexpected stories about the impact of his legacy. Join us for a joint curator-led tour prior to the official private view. Please get in touch for more information and to register. 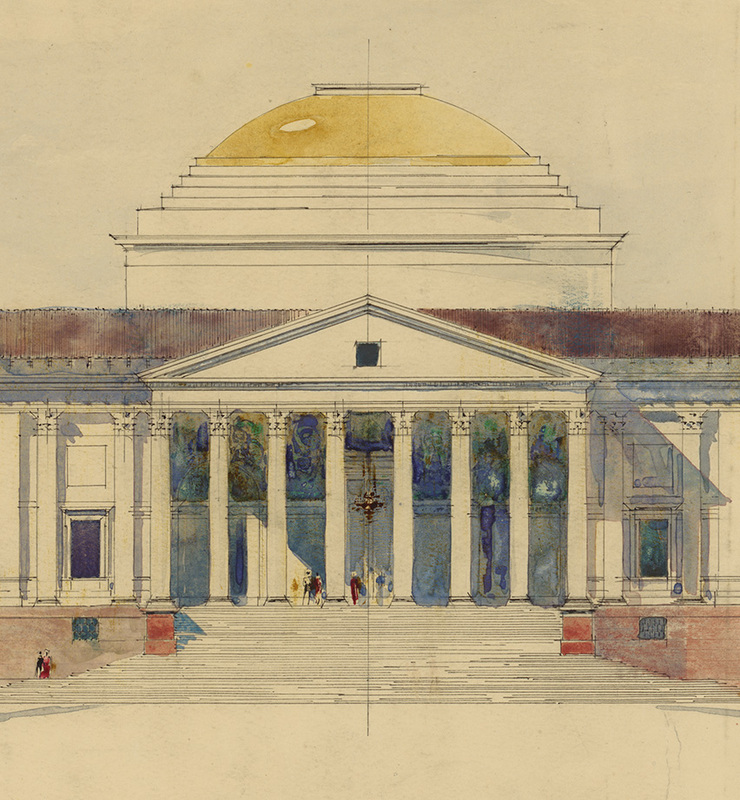 A 1912 preliminary study of an elevation of a building with a domed rotunda, an octastyle portico and lateral wings designed by Sir Edwin Landseer Lutyens (1869-1944) in 1931 for the Viceroy’s House in New Delhi, India. © RIBA Library Drawings Collection.